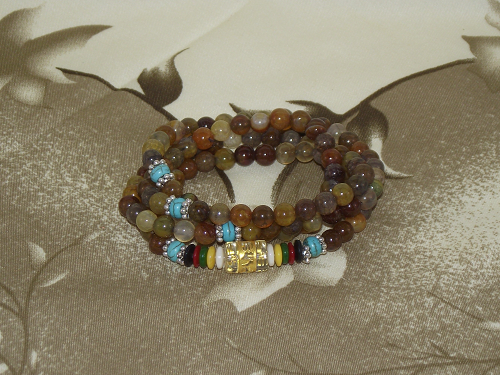 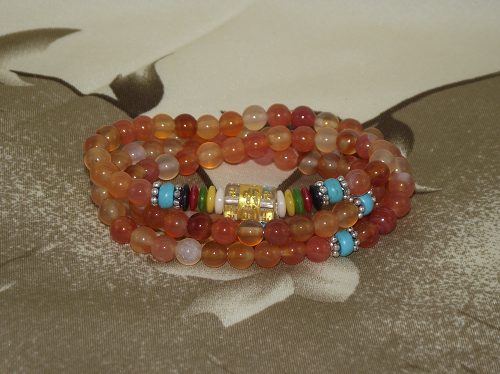 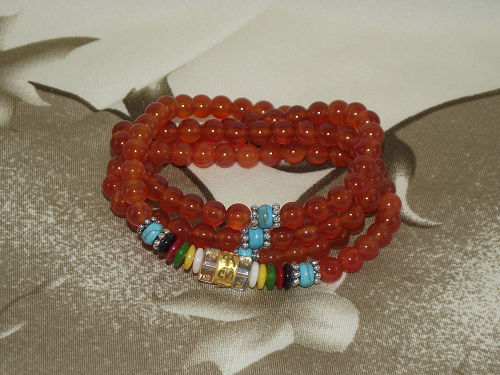 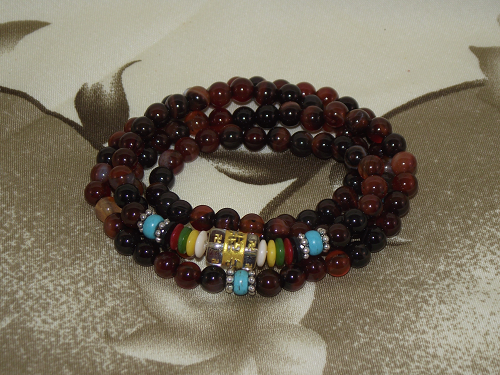 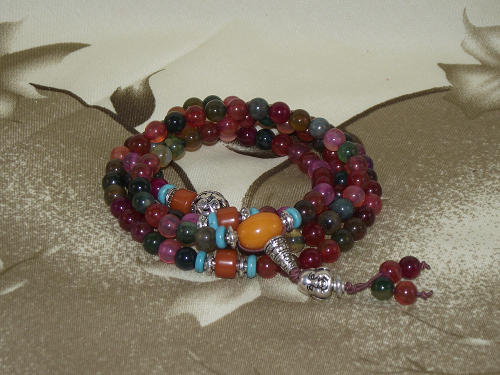 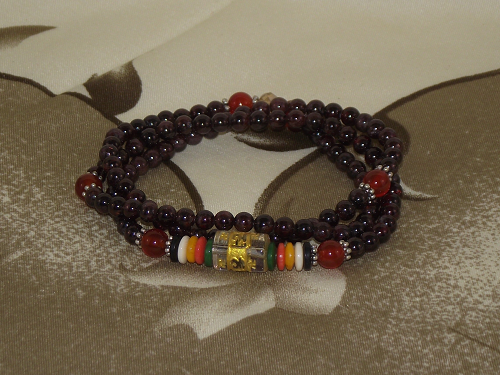 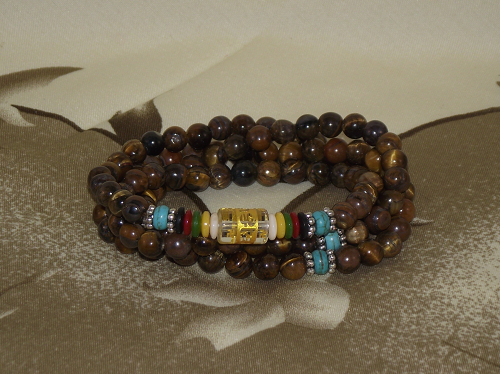 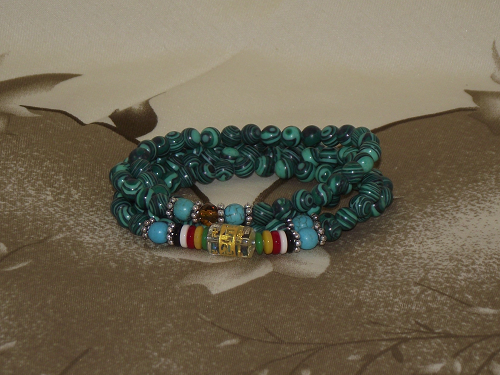 Moss Agate Mala beads with a prayer bead decorated with auspicious Buddhist mantras. 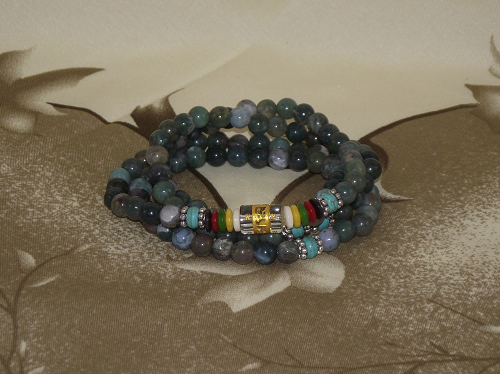 Moss Agate is also known as Mocha stone, and is a semi-precious gemstone formed naturally from silicon dioxide. 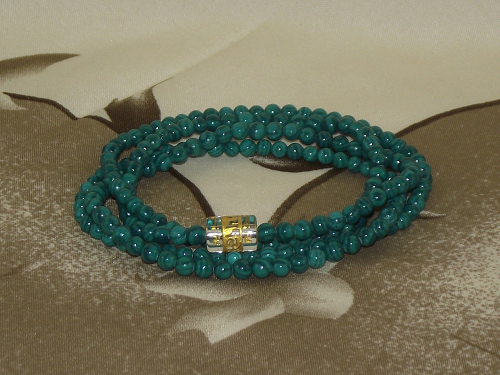 This gemstone gets it's name because the green and white colouration resembles moss. 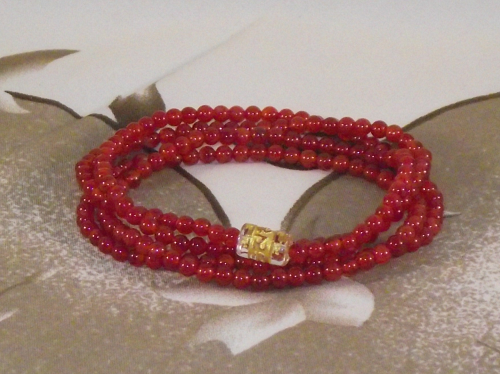 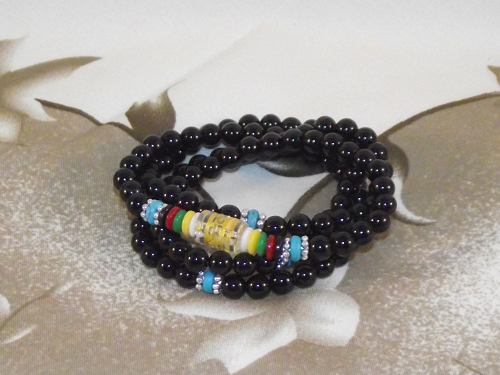 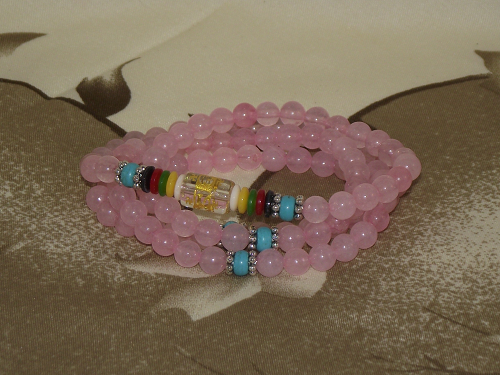 The crystals are said to aid both physical and mental balance, and can help dispel negativity. 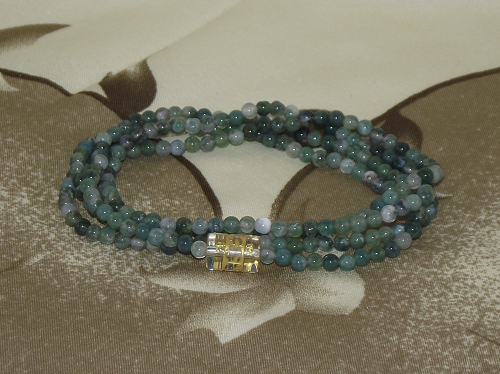 It is believed that Moss Agate gemstones can attract what you most desire in abundance!